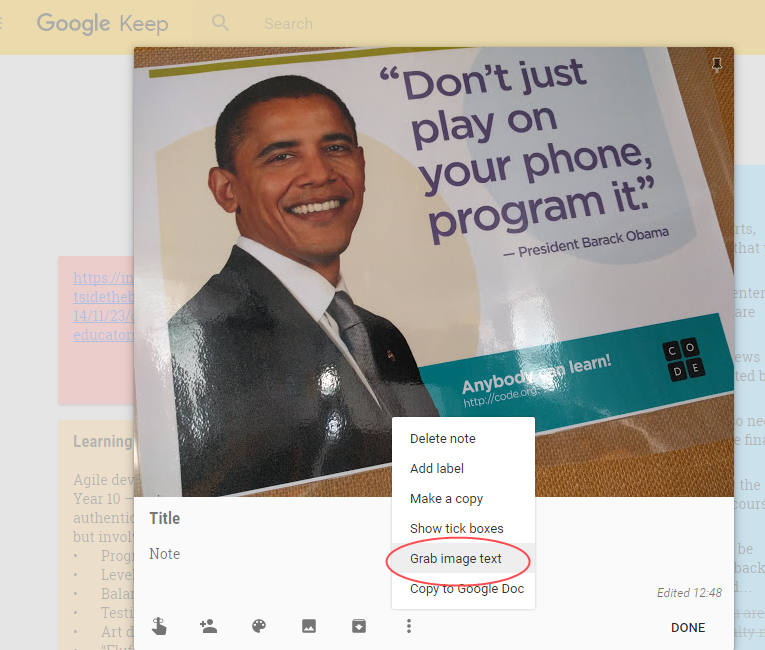 Google Keep is a free service that is simple to use, surprisingly powerful and has a lot of potential to be useful to students. Basically, it's a simple note-taking app with a bunch of little features that add up to a great deal of value. Every individual thing that Keep does is probably done better by either Google Drive, EverNote or Trello. The difference with Keep is that it does ALL of these things in one place, and is really simple to use. Keep does the usual time-based reminders, but also location-based reminders. So when you get to a place, it will do the reminder you wanted it to. Using the Keep app on your phone means you can take photos for your notes. Students regularly take photos of notes on the whiteboard etc - if they did this in Keep, they could then have them separate from their normal photo stream, and use labels to organise them by subject topic. A note can be a recording made on your phone. Which will be automatically converted to text - reasonably reliably in my experience! I have the Keep app on my phone, and also in a web browser. Great for "on the go" updates to lists, checking etc. If you look online, there are some great examples of how students can use Keep as an effective learning tool. It's not particularly high-powered, but it is really low friction. And all the little features addu pto one big pile of usefulness. 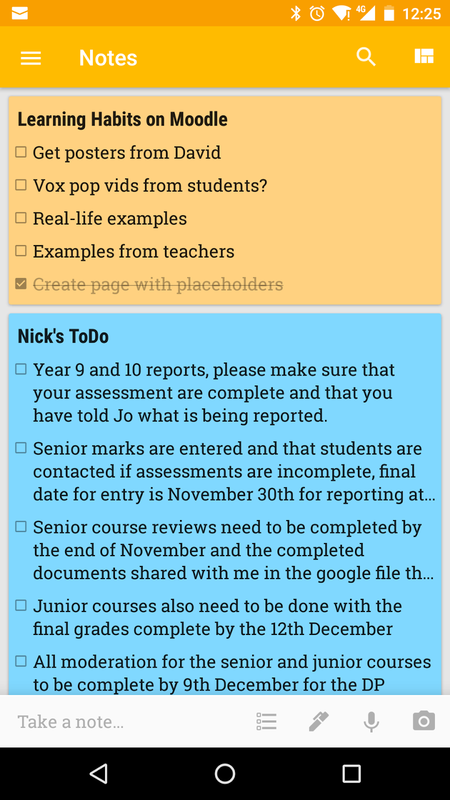 You could encourage individual students to use it, if they're struggling to organise their learning, and it may even be a whole-class tool. 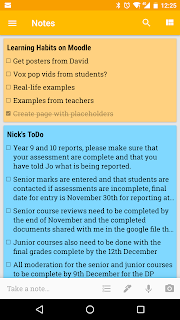 Plus of course, you should have it on your phone, as it's a really handy little tool for keep ing quick notes, either text, audio or organised photos.